High protein. Fat free. Farmer Owned - care in every step, from cow to you. Contains no artificial colours or flavours. Suitable for vegetarians. 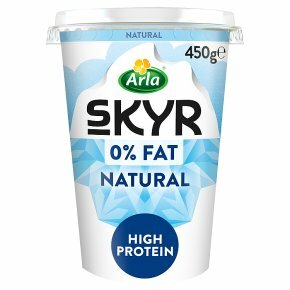 For hundreds of years Icelanders have enjoyed skyr (pronounced 'skee-er') as part of their daily diet. Carefully strained to create a delicious, thick texture, it's fat free, and high in protein. Now, you can enjoy Icelandic-style yogurt too.